I remember thinking quite clearly one Sunday morning, a little over a decade ago, that my child doesn’t really do nature. It was the way she screamed spiderrrrr, at the harmless fly hovering around her in the back garden. That gave it away. Fortunately, there are many initiatives targeted at children like mine, a generation more familiar with purchasing chicken or greens in vacuum packs, than seeing them grown or raised, that there’s actual magic in watching them watch something grow…slowly. I live in Israel, so I’m very aware that we absolutely do not pick the flowers in springtime—a grassroots initiative borne out of devotion for the land—and we love a good tiyul in the forest or a beach run. Everyone, not just children, benefits from spending time outside both mentally and physically. All the senses are engaged, it’s so great for sensory kids! There’s the wind on their faces and the feel of the grass and the earth. There’s the sounds, the sights, the smells and even the tastes…yes, even the taste. Everything does taste better when eaten al fresco. But, imagine the excitement of growing your own food in kindergarten or foraging and cooking the food and to top it off, the pure joy of meeting a prickly porcupine. Outdoor classrooms and gardens emphasize these child-led learning experiences that are more encounters or adventures you’re not going to get with a textbook. With exploration and imagination, science, geography, and biology come to life. Jewish curriculums can highlight traditions, values and holidays that have roots in nature and agriculture. Education is way more fun in a garden. The UK and Ireland have outdoor classroom policies and kids in Scandinavia soon learn that there’s no such thing as inappropriate weather, just inappropriate clothing. Hands-on teaching efforts in the Jewish world are no different in variety and quality. 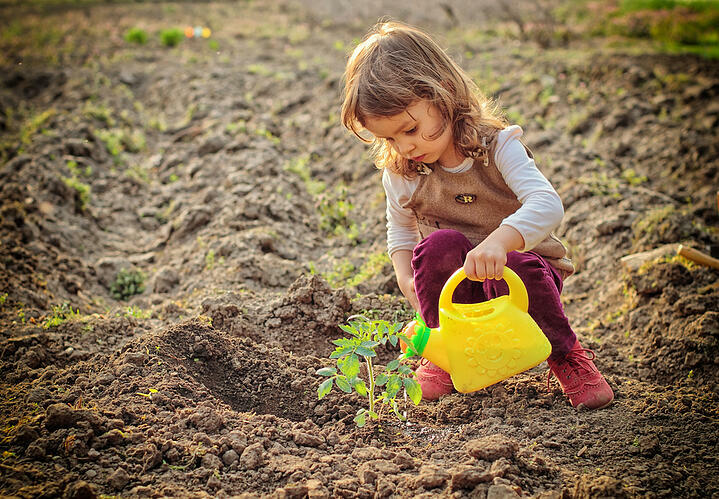 There are a number of organizations that create curricula, extracurricular projects and afterschool programs catering to the environmentally conscious Jewish world. But, it really goes beyond their educational needs. For a child to protect the delicate ecology around them they must value it, they must spend time outside, find peace in the wilderness, walk the forests and mountains and grow something, anything. Environmental neglect is after all, not just one person’s fault, but a societal trend that can be changed one child at a time. For that to happen, there needs to be early exposure to opportunities that teaches teamwork and mutual respect. Dropping that piece of garbage may be convenient right now but whom is it inconveniencing down the line? Bang in middle of winter in Israel, we celebrate Tu Bishvat, the 15th day of the month of Shvat. It’s the new year of the trees! In Israel it became a day that celebrated ecology and environment; trees are planted in celebration. Why not combine hands-on planting in real life with the virtual planting your kids can experience in “Make it Grow”, a fun, engaging app that encourages young children (aged 3-5) to explore nature in a creative way, while learning about the Jewish festival of Tu Bishvat through songs and blessings. Kids plant their own parsley, date or apple seeds, nurture them, and watch them grow. There are mini games to lead the water to the roots of the tree, to catch the falling fruit from the fully grown tree, and then to cut the fruit in half so that the seed inside can be planted again. On the parent’s page, we encourage the parents to create a photo diary of the growth of the seeds that have been planted in real life. We really try to give our children the ‘power of Tu Bishvat! Rifki Orzech is an olah, a mother of three and a content writer with five years’ experience. 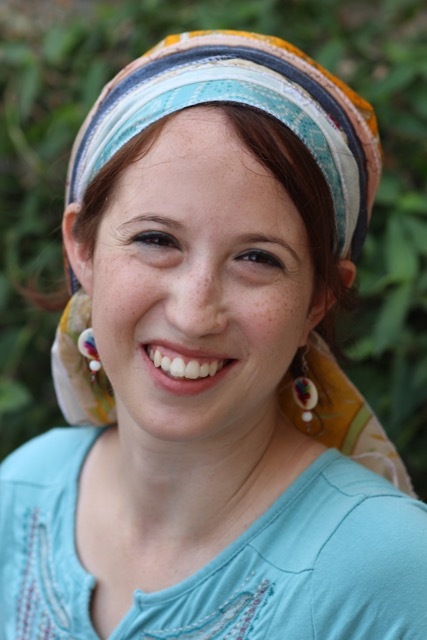 She is passionate about women learning Torah and has completed the Susi Bradfield Educational Leadership Programme for Jewish women at the London School of Jewish Studies. 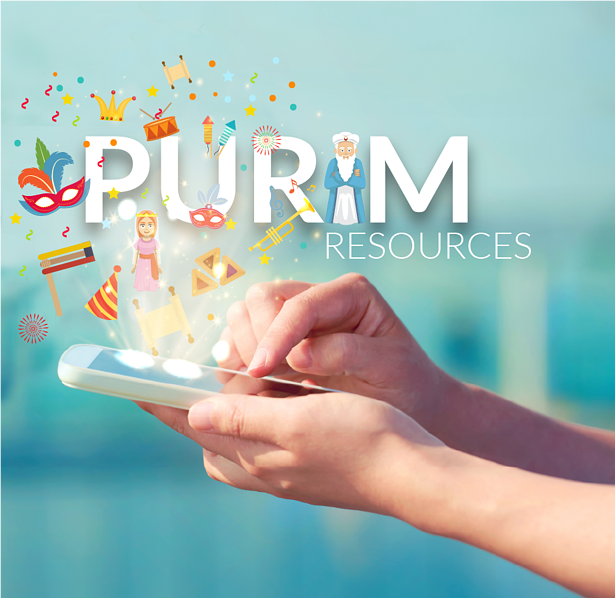 Download Our Purim eBook! Click here to download!